Does Archaeology Prove Or Disprove That The Bible Is The Word Of God? Some Christians such as this one try to prove that the Bible is the word of God from archaeology. However, archaeology does not prove the Bible is from God, it could only prove that it is an accurate history book. However, is it completely accurate? 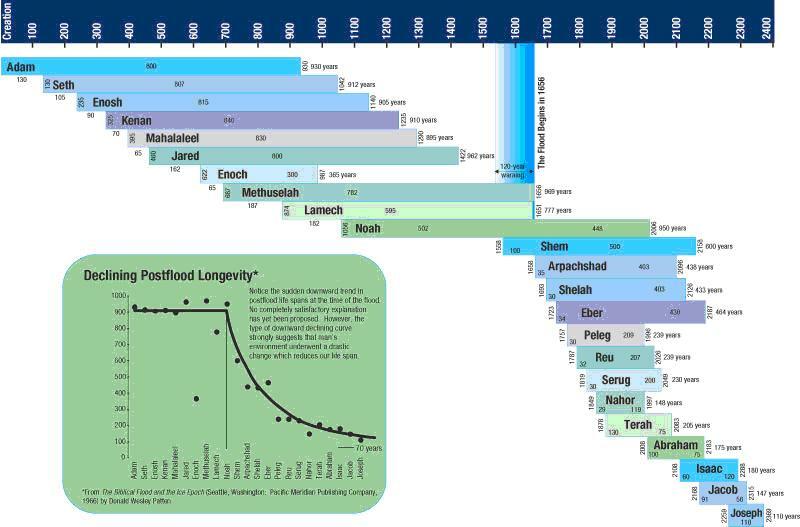 The ages and relationships of the patriarchs, given in Genesis and shown on the opposite page, allow one to estimate the time of Adams creation at slightly more than 6,000 years ago. What uncertainties are involved? If Adam is supposed to be the first man created and then according to the Bible Adam was created around 6000 years ago doesn't that go against archaeological evidence that suggests that there were human beings at least 160,000 years ago? The Quran is completely silent on the issue of when Adam was created so this argument cannot be used against Islam. However, it could be used against the Bible and archaeological evidence has come to expose its errors.